Welcome to www.nhmcfriends.gr. Access to and use of this website is subject to the following terms of usage, which are binding and apply to all interactions carried out via the website concerned. Please read the terms carefully, and ensure that you have understood and agreed with them prior to any transaction. 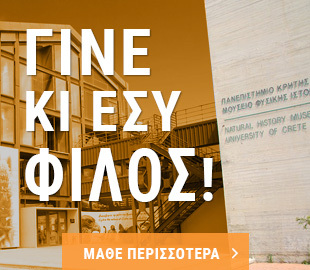 This website is owned and operated by the Natural History Museum of Crete Friends’ Association. Our headquarters are on Sofokli Venizelou Avenue, and we can be contacted at info@nhmcfriends.gr or by telephone on +30 2810 393630. The Natural History Museum of Crete Friends’ Association may occasionally change certain provisions of the general terms, and undertakes to update this text to reflect any change or addition to the terms. Users are bound to refer to the terms on each visit to the site. We advise anyone not agreeing wholly or in part with the contents of the terms not to make use of the services offered by the site. The content and all information on www.nhmcfriends.gr, including the logo, images, photographs, graphics, illustrations, texts and services provided are subject to copyright provisions. Alteration, distribution or reproduction of this website for any reason is prohibited. Users may only visit for personal use and not for professional or commercial ends. The Natural History Museum of Crete Friends’ Association bears no responsibility for any errors (typos, wrong numbers etc.) in the content and information carried by www.nhmcfriends.gr, whether unforeseen or arising unintentionally or on account of disruption to website provision. The Association cannot guarantee that the website, its content or the server hosting it are entirely free of viruses that may cause harm to users’ computers. We advise all web users to install recently updated antivirus software. The Natural History Museum of Crete Friends’ Association has made every effort to depict the products it provides as accurately as possible. However, since the final rendition is also dependent on the user’s monitor and computer, the Association bears no responsibility for any differences arising between the rendition and actual product appearance. 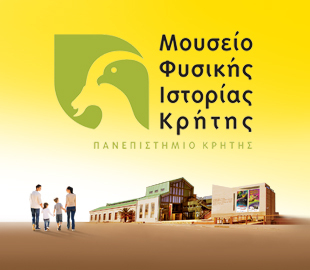 The Natural History Museum of Crete Friends’ Association cannot guarantee that its website pages, services, options and content will be provided free of interruption or error. Furthermore, the Association cannot guarantee that the site or servers via which it is provided to users and or members are free of viruses or other malware. The Association provides no guarantee whatsoever as to the correctness, completeness or availability of contents, pages, services, options or results thereof. Visitors / users bear responsibility for accessing the website services provided by www.nhmcfriends.gr. Any such access may involve the payment of fees to third parties (e.g. internet service providers, online time charges), and visitors / users bear sole responsibility for the payment of such fees. Furthermore, visitors / users bear sole responsibility for any personal equipment and technological capabilities requisite for accessing the website services provided by www.nhmcfriends.gr. The Natural History of Crete Friends’ Association reserves the right to modify and/or temporarily or permanently suspend part or all of its website services at www.nhmcfriends.gr with or without issuing notice to users.